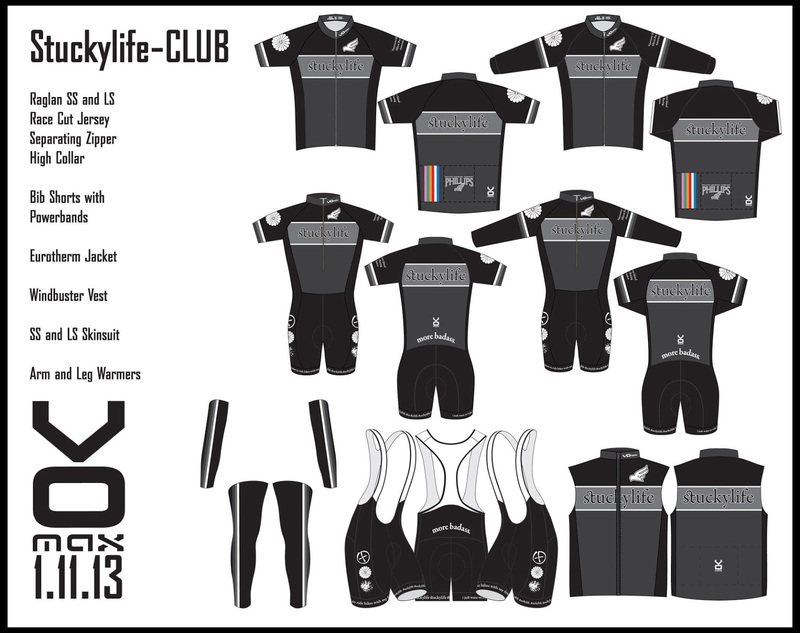 2013 Stuckylife Club Kit: Hot. Dark. Ready. It is kit time. 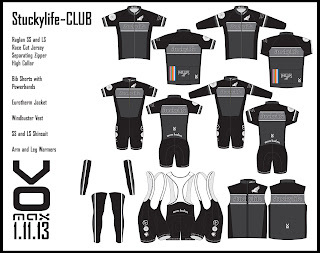 Click through for the scoop on how to get your hands on the first new kit in 2 years. Manufactured in Massachusetts by the fine people at VOMax, it will only be available between now and January 31st February 20th, 11:45pm. Don't miss out! I missed out on the last run. How do I get in on it this time? Online cart (on the internet). Online payment via PayPal, credit cards. When do I gotta pay by? How long is it gonna take? The order will be shipped all at once to Broad Street Cycles. We'll let you know when it lands so you can come down and pick your order up. Where can I try a kit on for size? Broad Street Cycles currently has small and medium sizes in-stock. *$5 shipping per order will be added to your online cart, as well as a 2% BikeReg online order service fee.